Our service department provides repairs and routine maintenance on all Honda models and other vehicles we sell. Stop by today and take advantage of our service specials. Dependability, quality and value. Make the smart choice, and find a Certified Honda that’s right for you. Only well-maintained late-model Hondas are eligible for certification. We’re devoted to earning your business through our competitive Honda pricing, superior customer service, and award-winning employees We strive provide the best new and used car buying experience for all residents of the Memphis area including Jonesboro, Tupelo, Nashville, and Florence. Overall, my experience was outstanding. I told them my budget, and they made it happen. It was a very quick & easy process. 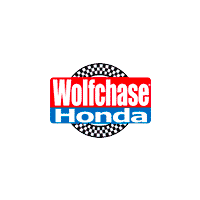 I’ll recommend Wolfchase Honda from here on out. I got there at 7 for oil change. I was informed it was time for 30000 mile checkup. I had somewhere to be at 10. They were able to do it and I made it to my appointment with time to spare. I want to do everything possible to keep my Honda In Great shape and these people help me with that. Jeff skola is great and Victoria with shuttle is as well. This was a great experience from start to finish. I had my car back the same day with multiple repairs. Further, the man helping me at the drop off location, Kenneth Jones, was a pleasure to work with. He informed me of all the repairs being made, the timeline, the cost, and was incredibly well spoken and polite. Would recommend anyone go to him for help with Honda service. I received superb customer service from Jeff Scola. I brought the wrong coupon and he still made sure I got my discount. He’s very professional and friendly. Professional and accommodating. Eric Hargrove goes the extra mile for the customer. His service keeps the customers coming back because he does it right the first time.